Photos taken on a beautifully sunny day at Battersea Park, London. The beautiful London district of Battersea blends the charm of Chelsea with the vibrant multi-ethnicity of Brixton. Even though it’s a fairly residential borough, Battersea welcomed the first ever original car boot sale in London, houses two of the best venues for gypsy swing and world music, and harbours a huge amount of entertaining activities. Discover the gems of Battersea — that, conveniently, are all within walking distance — this weekend. Located in the centre of Battersea Park — with its beautiful view over the pond and its historical Victorian architecture — is the Pump House Gallery. Host to a diverse range of exhibitions, workshops and projects aiming to explore the multiple ways in which contemporary art can be made, experienced and interpreted, this is a place for any gallery newcomer and enthusiast. Open to everyone, the gallery has an engaging programme and offers an alternative form of entertainment for a Saturday afternoon. If you’re planning a big weekend dinner or just simply craving a snack, Battersea High Street Food Market is the perfect place for food shopping. Situated in the heart of Battersea — at the cross road between Battersea Park Road and Falcon Road leading towards Clapham Junction — the market offers all kinds of bright and tempting goods. Food lovers will revel in the great selection of fruit and vegetables, wide range of meat and poultry and dairy products along with a variety of delicious baked goods. For those who just fancy a quick lunch, there is also delicious ethnic street food to choose from. So if you find yourself around Battersea Park on Saturday morning, this market is definitely worth a good stroll. London has a great reputation for the quality of its second-hand shops, so why not go one step further and visit a car boot sale? Established in 1999 and situated in a local school playground, Battersea Boot is the original Sunday afternoon London car boot sale. With a less than ten minute queue on busier days and a small entry fee of £5 (and only 50p after 1.30pm) visitors will find a wide range of items to peruse and buy. From vintage to designer clothes, from fine furniture to superb antiques, this car boot sales with its friendly atmosphere and attractive selection will satisfy even the pickiest of tastes. For those who like good music, dancing or just relaxing with a pint of beer on a comfy sofa, The Magic Garden Pub and Restaurant is the right place. 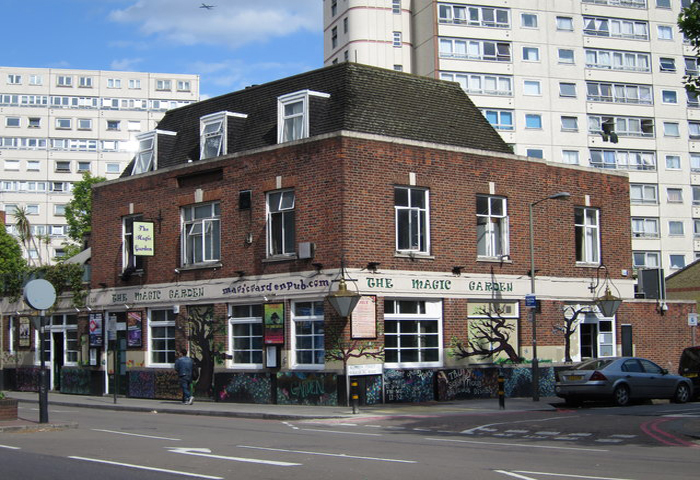 Located on Battersea Park Road, the venue has a reputation for being one of the best places in South West London for live music. While providing a great selection of drinks and food served either indoor or in the big picturesque garden, the pub entertains customers with live music and DJ sets of all genres; from jazz to blues, reggae to world music, creating a very magical atmosphere indeed. Sunday – Thursday, 10.30AM – 12AM | Friday – Saturday, 10.30AM – 2AM. For swing lovers, Le QuecumBar is the must-go hidden gem of Battersea. Right at the end of Battersea High Street, with a charming, small back garden, the Bar & Brasserie provides an intimate atmosphere in its original Parisian style of the 1930s. Considered one of the prime venues in London for promoting the music of Django Reinhardt, Le QuecumBar has great food and wines, delighting its customers with authentic Gypsy Swing live music and cabaret that will bring a unique mood to your evening. Monday – Thursday, Open from 7PM | Friday – Sunday, Open from 6PM. Through a small gate entrance just below the railway on Battersea Park Road, you will find Battersea Flower Station. Established in 2012 as both florist an garden centre, this shop quickly became a favourite place for ‘green thumbers,’ thanks to its expert staff who provide a great service and a fantastic selection of plants, trees and flowers. 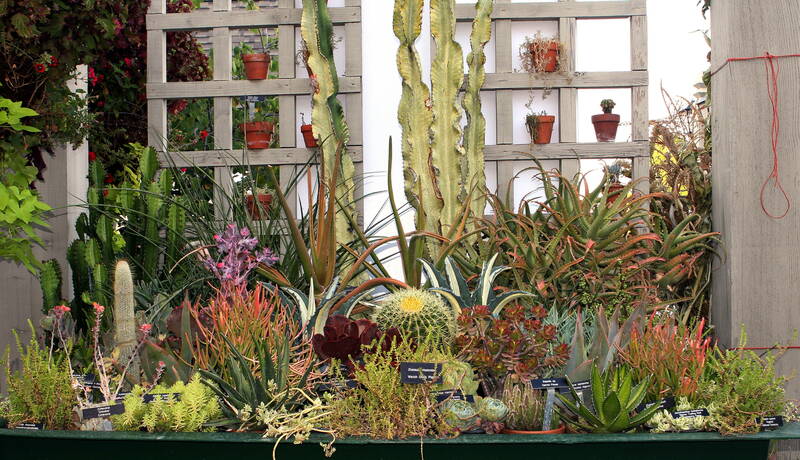 Open seven days a week, the centre offers local deliveries, garden/balcony design, the instant making of flower bouquets and a variety of tropical and Mediterranean succulents plants, cacti and indoor plants.